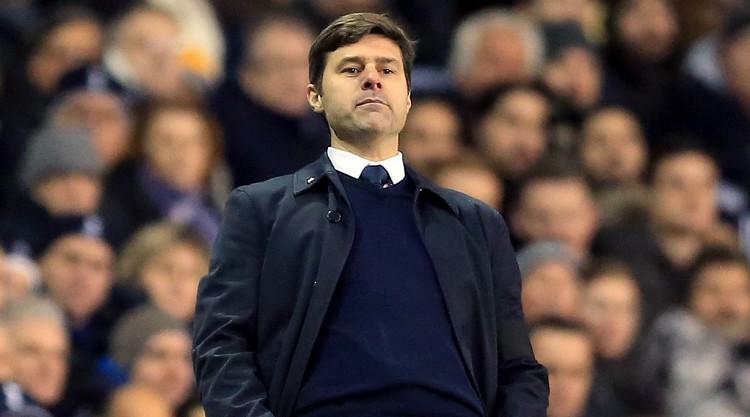 Mauricio Pochettino has warned Tottenham not to take Harry Kane's future for granted. Kane has always maintained he is happy at Spurs but Pochettino says Philippe Coutinho's move from Liverpool to Barcelona shows there can be no room for complacency. Tottenham's star striker underlined his value again on Sunday by scoring twice in a 3-0 win over AFC Wimbledon as Pochettino's side eased into the FA Cup fourth round. Jan Vertonghen's first club goal since October 2013, a sensational 30-yard strike, added some gloss late on at Wembley. But, asked afterwards if Kane might break the mould of players leaving for the world's biggest teams, Pochettino delivered a note of caution. "Harry is so special," said Pochettino. "Because he loves Tottenham and he has always been at Tottenham. "But we need to be clever how we manage him. The player needs to choose to stay here, you cannot force the player to stay here. "Our job is to try to work together and try to achieve everything we want at the club and of course Harry is such a special player. I told him only a few special players can spend all their career in one club. "I think Harry is this type of a player who can stay all his career at Tottenham because he loves Tottenham, but in football you cannot be sure. "It is today, the present. Tomorrow and after tomorrow you need to doubt. That is why it is so important to work together and try to achieve all that you want." Real Madrid coach Zinedine Zidane hailed Kane as the "complete player" ahead of the clubs' first Champions League tie in October while Manchester United have also been credited with an interest in the 24-year-old. Kane signed a new five-and-a-half-year contract in 2016 worth more than £100,000 a week but his wages are still modest in comparison to the world's leading players. "Liverpool is one of the best clubs in the world and look when Coutinho or a player like Coutinho wants to leave," Pochettino said. "With Coutinho, I think Liverpool wanted to keep him but it is difficult to keep him, and look what happened with Cristiano Ronaldo with Manchester [United], Zidane with Juventus, Figo with Barcelona. "It is a lot of examples that [show] it is so, so, so tough for everyone to keep your best player if the player in some moment turns their mind and says, 'Now I want to leave'. "That is why it is so important how you care [for] your players. That is why, how you need to anticipate things. "I think it is so important to work on the human side to try to provide, the club, the player, the team, an exciting moment and to try of course to create and build a project that they feel comfortable and happy to be with you."